Quick question: Whenever you crave for fresh seafood in Manila, what comes first to your mind? Probably Dampa in Pasay, right? I mean, it’s been the go-to place for the longest time! Well, I have some great news for you. There is a new spot in Manila for you to indulge in some seafood freshness- Seascape Village. I was invited last May, along with other members of the media, for a food crawl in the various restaurants in this new hub! Find out what happened and let me give you 4 reasons to visit Seascape Village! As the name suggests, Seascape Village boasts only the freshest seafood for its customers. With the Philippines being a tropical archipelago, it is no surprise that it is one of the world’s primary sources of fresh seafood. Choose your meat: fish, shells, crab, or shrimps, and have them prepared the way you want them. Or if you are feeling adventurous, pick from the restaurant’s menu! Personally, I FELL IN LOVE with the fresh tuna sashimi from Mazu Seaside Diner! Listen to your taste buds. Are you up for some Filipino flavors, Asian food, or maybe some fusion cuisines? No matter which flavor you are up for, it will surely be satisfied at Seascape Village Bay market. With a list of restaurants offering a wide array of cuisines, you won’t be running out of options. 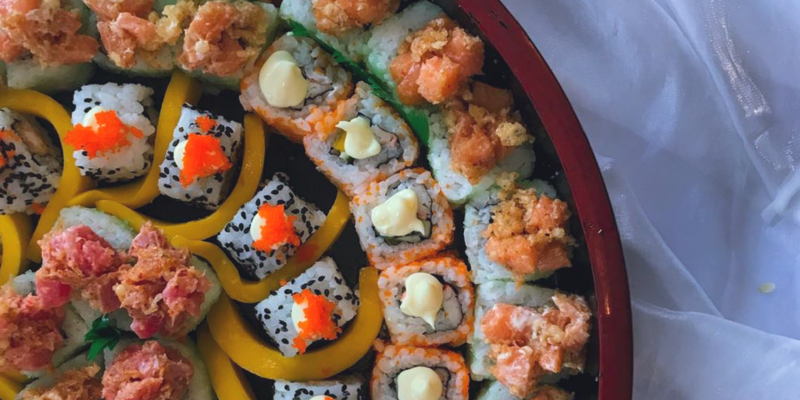 Go Japanese at Yatai Asian Cuisine or Filipino at Lola Ina’s Seafood Paluto! I’v been talking about the freshness of the food since the start of this post and here is the reason for it. Seascape Village is home to a Bay Market which stays true to their vision of bringing a new experience for locals and tourists alike. Shop for the freshest seafood at the market at the ground floor and have them prepared the way you want them at the restaurant of your choice. Now that’s what you call elevating the market to table experience! Come in for great food and stay for some bottles of beer to cap the night off. Seascape Village is shaping up to be a one-stop-shop for locals with the Bay Market as the first of four phases. I can imagine myself returning here one Friday night to celebrate the weekend with a bottle of beer in hand while enjoying an obstructed view of the Manila Bay sunset. Oh, where to go, you ask? Try Mr. A’s Bar or the Fish Music Bar! To be honest, I will start the night by cracking some salted egg crabs from Blue Posts Boiling Crabs. At this point, I am sure that I have enticed your appetite to drop by Seascape Village. It is located between Sofitel Philippine Plaza Hotel and the Manila Film Center, within the CCP Complex in Pasay City. Simply pin the address Atang dela Rama st., cor Zoilo Hilario st., at Grab!